Prior to his professional days, William (Bill) Zock played four years of minor football in Toronto, Ontario. Zock, an outstanding guard and tackle, spent most of his Toronto days with the Argonauts. He played for Balmy Beach of the Ontario Rugby Football Union (ORFU) when the Interprovincial Rugby Football Union (IPRFU) ceased operation during the second world war. He called the Argonauts of 1945 through 1947, “…The roughest, toughest team I ever played on…”. 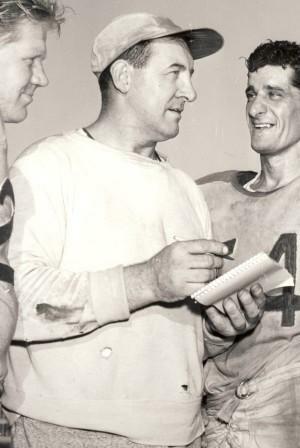 In 1951, Annis Stukus convinced Zock to return to the gridiron, and he played the last few years of his career in Edmonton. Bill Zock was known as a tough competitor who never backed away from trouble.